Pastor Solberg is the 8th pastor to serve during Saint Paulus’ 150 years of ministry. 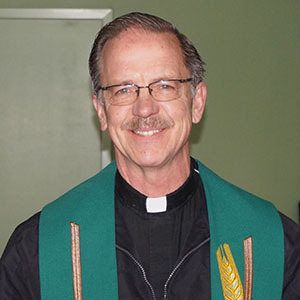 He was ordained into the Lutheran ministry in 1975, served several congregations in the Pittsburgh, PA area up until 1994 when he and his family were forced to relocate to the Bay area, the result of extraordinary conflict with the institutional church in Pittsburgh during the 1980s. He pastored Christ Lutheran Church in San Lorenzo, CA for five years, when he was called to the pastorate of Saint Paulus in 1999. Under his leadership the congregation has reshaped its spirit and mission mostly as a church devoted to those on the margins having operated the congregation from storefronts since 2008, and now anticipates a new chapter in its long history, a new church facility from which to continue its mission.